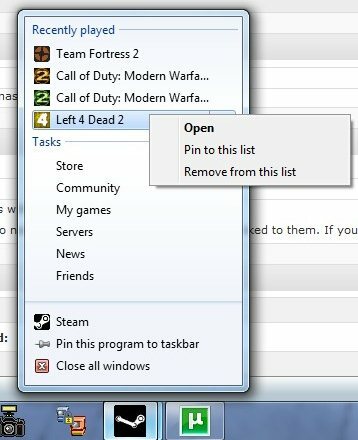 Microsoft has introduced so called jumplists in Windows 7. These jumplists are part of the Windows 7 taskbar and appear when the user right-clicks an item in the taskbar. They usually display the most recent items that have been opened and can also contain shortcut links to program functions. One example of this would be a jumplist for an email program that contains links to tasks such as writing emails or checking for new mails. The recent items that are displayed can be a security and privacy risk. Even more so as there are no obvious means to delete and manage them effectively. The only option that a user has is to right-click specific recent items in the jumplist for options to delete that item. There is no option to delete all items or to exclude items from being displayed in the jumplist. 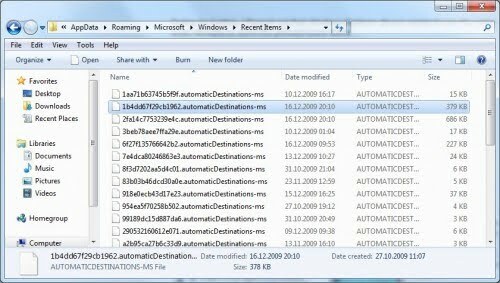 What most Windows 7 users do not know is that Microsoft is storing the recent items list in a super-hidden directory that cannot be accessed directly in Windows Explorer. 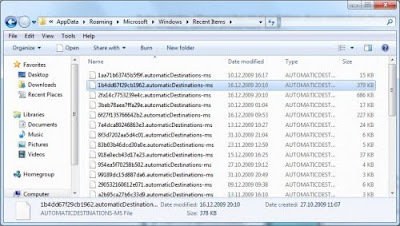 One of the options to access that directory is to copy and paste the following path into the Windows Explorer address bar. This will display a list of encoded file. Each file contains the information of a specific jumplist. It is however not easy to link those files to a jumplist. The only viable way to do that is to open the items in that folder in a text editor and search for recent items that are in the jumplist currently.